Hey Alpha! awesome background :D I LOVE it!!! and it blends nice with that girl!!! Yey!!!! Alvis looks so cute on it!!!! :D ....and this bg - great job!!!! Wonderful work!!!! + Last Exile is one of my favourite anime series!!!! Thank U for that wallie!!!! Hei !!! Your background is more amazing than before.I like it .The girl in picture is very pretty and nice. Ooo la la ^^ Pretty background. I like the girls hat =P Pretty hat ^^ Does she fly planes? Oh, is beautiful the bottom seems to me impressive, in if you obtained a very good combination of elements. Oh Alpha the background is awesome. I loke it very much. And the colors and the scan all this fits together very nice. Alpha, very good wallie. Not one of my most favourite from you but indeed a good one regardless. I find it to be thought provoking, I guess it's the title and the character. One of the best light/shadow concordances in a wallie that I have seen lately. I know it is very hard to merge a background and a scan making all light/shadows follow the same pattern... but you've done it. Congrats. Fantastic!! The background is phenomenal. The girl looks so peaceful. Really a beautiful wallpaper. Thanks for sharing your work. Nice work. 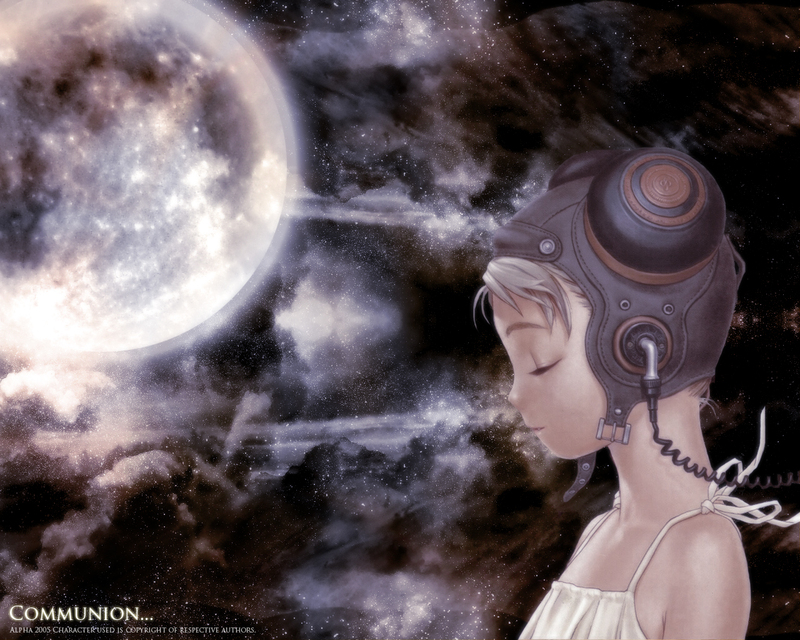 You combined two of my favorite types of wallpapers: space and Last Exile :) . Very peaceful looking.